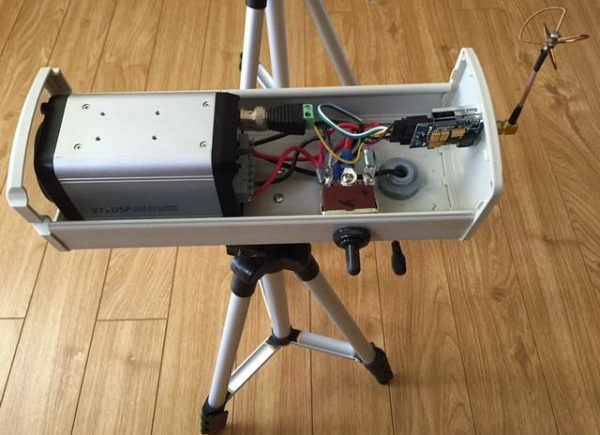 Here are the internals of the wireless camera system. Note the antenna at right. 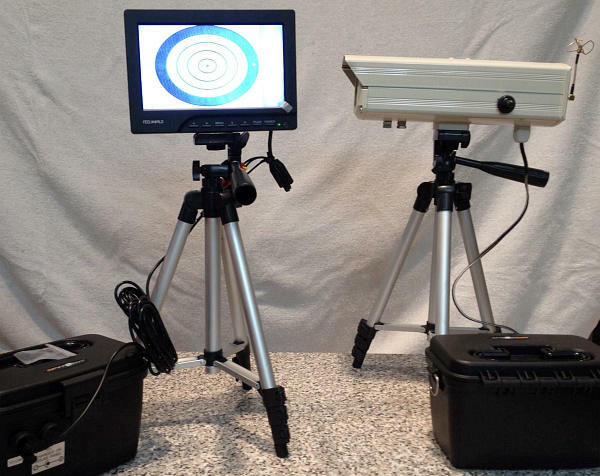 Here is the entire system, with monitor/receiver placed conventionally on a tripod. Batteries are housed in waterproof plastic cases. 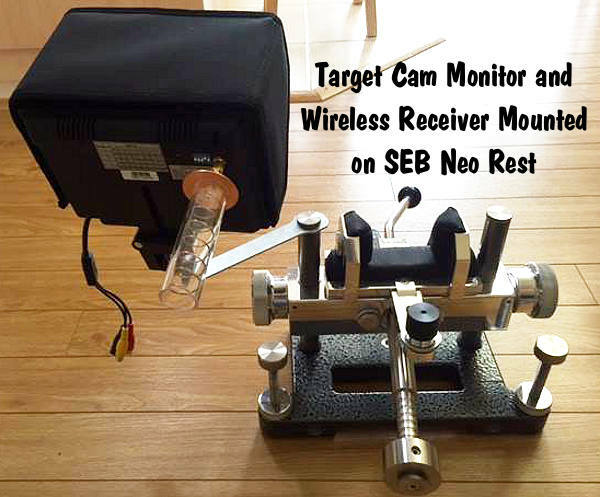 Share the post "Custom Target Cam System with Rest-Mounted Monitor"
Looking for an affordable “Truck Gun”, or a light-weight, “carry-around” varmint rifle? Consider the Howa Mini Action series. 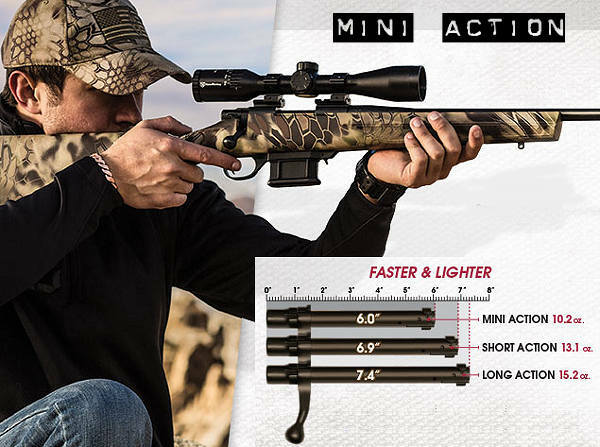 With receiver (and bolt) that are nearly an inch shorter than regular short actions, these Mini Action rigs weigh just 5.7 pounds without optics. This makes for a nice, compact (and very shootable) varmint package. The Howa Mini Action rifles come with 10-rd detachable box magazines and an adjustable HACT 2-stage trigger. Synthetic stocks are offered in black, OD green, and Kryptek Highlander camo colors. You can buy a complete Mini Action rifle package, including 3-9x40mm Nikko scope, for under $590.00. If you are looking to build your own project rifle, you can purchase Howa Mini Barreled Actions separately. When fitted with a #1 contour lightweight barrel, the Mini Barreled action weighs just 3.77 pounds. 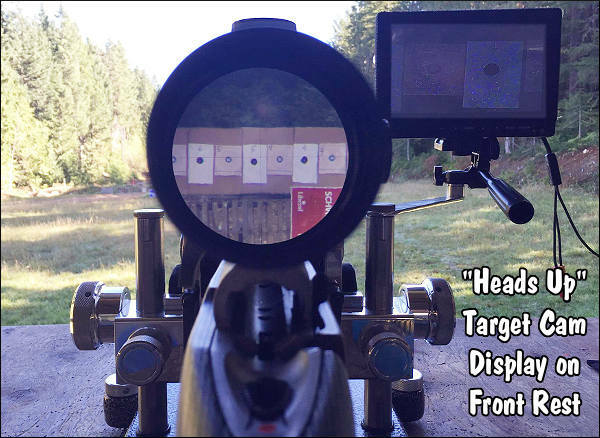 Barreled actions are currently offered in .223 Rem and .204 Ruger chamberings. Lightweight and heavy barrels measure 20 inches, while standard barrels are 22 inches long. 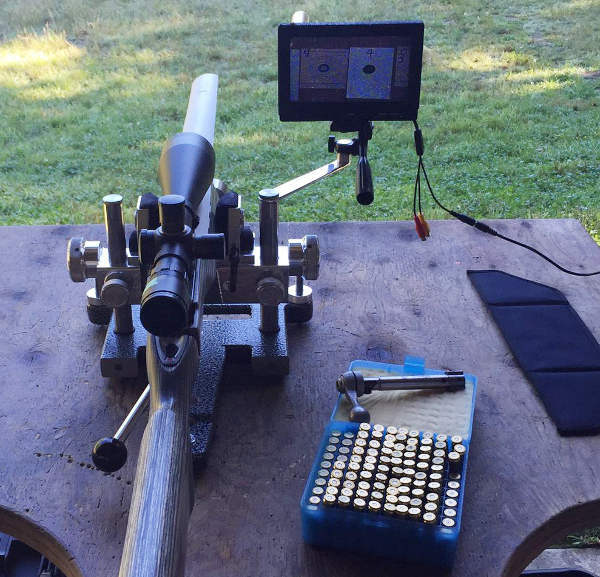 Share the post "Compact Varmint Rig — Howa Mini Action"